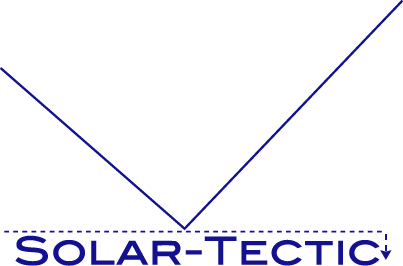 Solar-Tectic is pleased to present “1c-III-V/crystalline silicon thin-film tandem” devices for photovoltaics and LEDs. For example, GaAs on silicon thin-film has the potential for very high efficiency solar cells, and GaN on silicon thin-film can be used for LEDs. The materials in all the devices are designed to have “texture”, or preferential orientation, as well as large grains, for high efficiency. The GaN on silicon thin film can be used for micro-LED fabrication as well. The technology is now patented. Please click this link for a PDF version of the patent.